Wow! 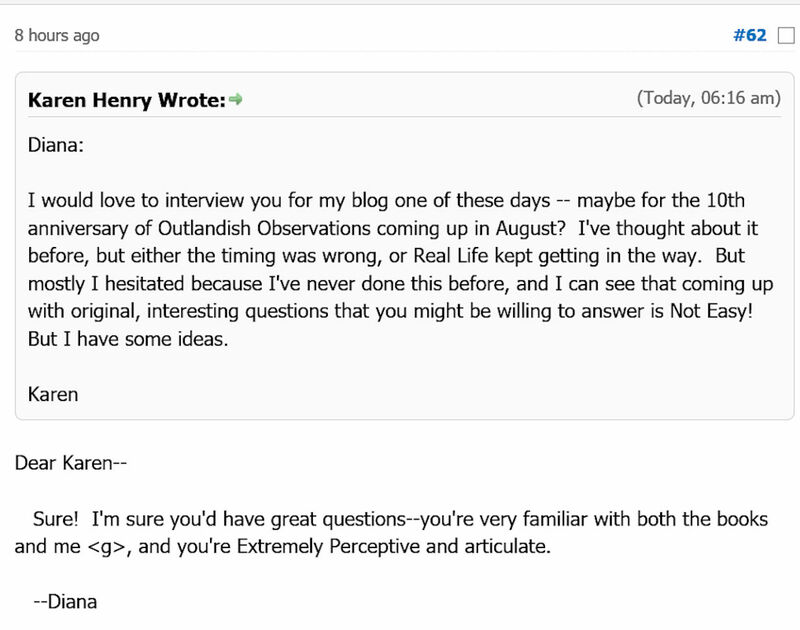 "Extremely Perceptive and articulate" is high praise indeed, coming from Diana, and the sort of comment I'll treasure for a long time. So, clearly she'd be happy to answer any questions I can come up with, within reason. <g> As for what to ask...? That's the hard part, and I plan to spend some time thinking about it. I have a few ideas, but I'm not going to share them ahead of time. 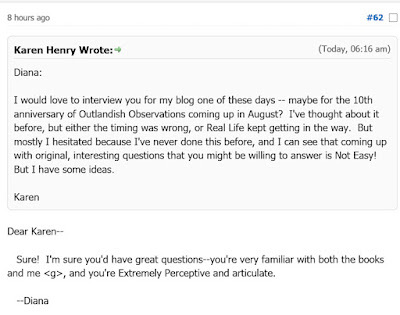 Instead, I thought I'd ask the rest of you: What would you like to ask Diana Gabaldon, if you could? 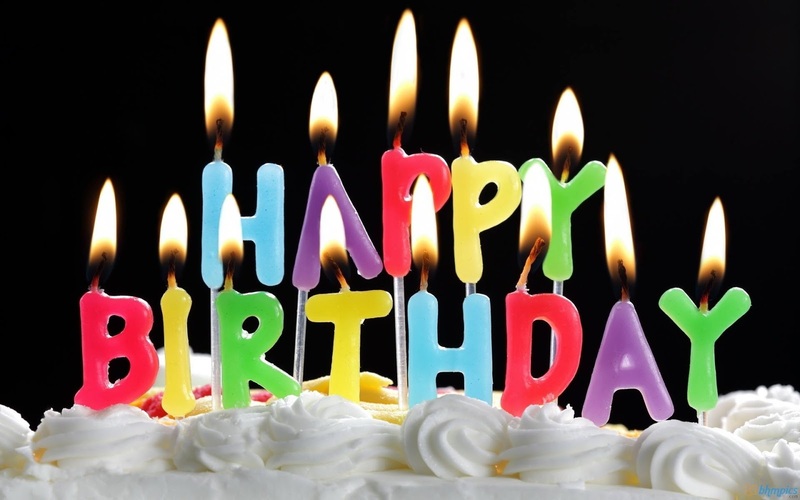 That would make her 242 years old, which is rather mind-boggling to contemplate, considering that she was only a toddler when last seen in WRITTEN IN MY OWN HEART'S BLOOD. "Think ye might have lost something,” Buck said gruffly, and handed Mandy carefully down to him. She was a heavy, lively weight in his arms--and smelled of goats. 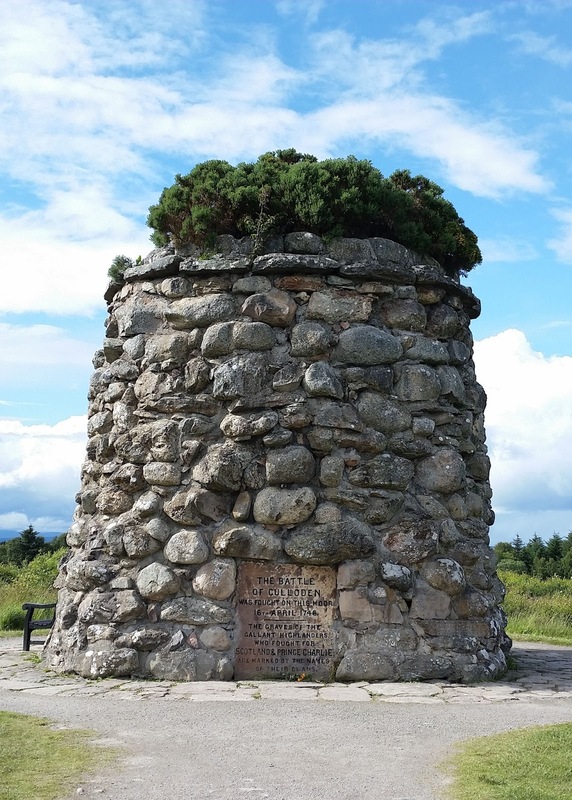 Today is the 272nd anniversary of the Battle of Culloden, which took place on April 16, 1746. 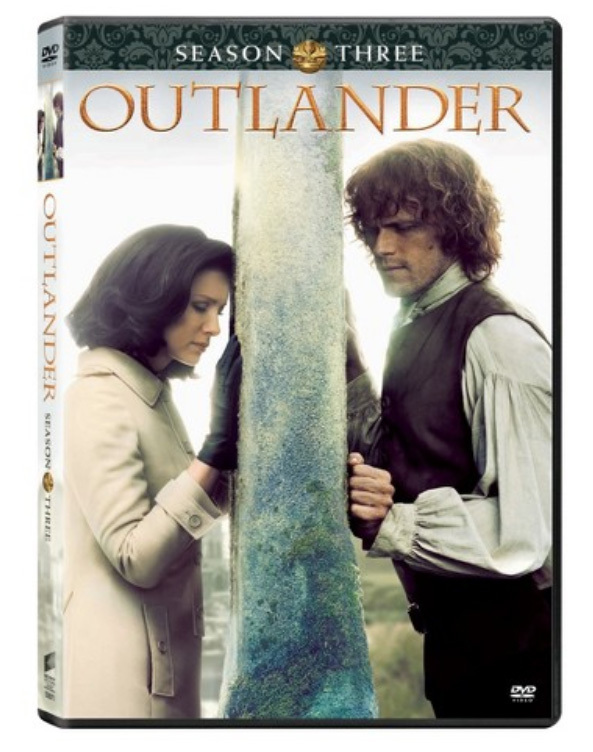 OUTLANDER Season 3 Blu-ray and DVD now available in the US! The OUTLANDER Season 3 Blu-ray and DVD is finally available in the US! I'm well aware that many of you outside the US have had the Season 3 Blu-ray/DVD for a month or more, but it's been a long wait for American fans. I haven't actually seen any of the "extras" or deleted scenes yet, and I'm looking forward to seeing them for myself when my copy arrives on Wednesday.